Transferring files from your Android smartphone to your Windows PC, or vice versa, used to be a tricky affair earlier. You connected your phone to the PC via a USB cable, looked over the file system till you found what you were looking for, and then copied with the hope that nothing disconnected or hung in the process. Alternatively, you used the slow file transfer process to share files over Bluetooth, after first pairing the two devices. Thankfully, with the evolution of apps, this process of sharing files from Android to a Windows device has become an easier affair. 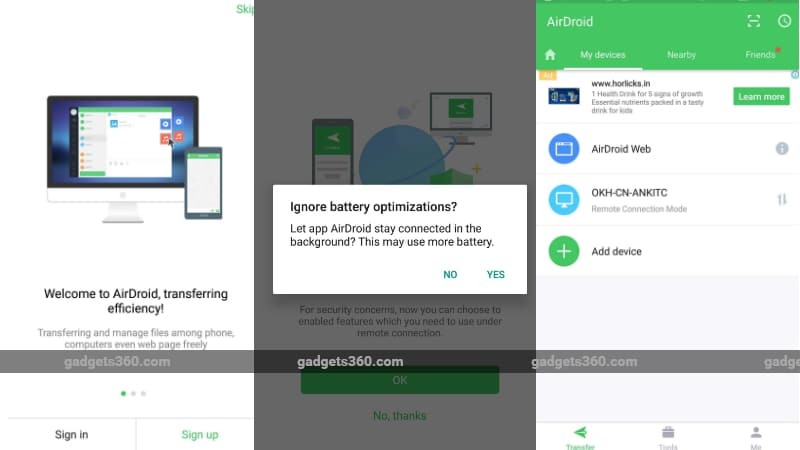 We list a few free apps that you can try if you want to transfer files from your Android smartphone to your Windows desktop and guide you every step of the way as to how to go about them. The Feem v4 app allows users to transfer files, photos, videos, audio files, and apps for free. The app needs to be downloaded on the Android device as well as the Window device, for it to work. Both the devices need to be connected to the same Wi-Fi network. The company claims that the file transfer service is 50 times faster than Bluetooth and twice as fast as Dropbox. The free version of the app is riddled with ads. Those who find that annoying can pay a premium for Feem Pro that offers an ad-free experience. Just like Feem v4, AirDroid allows you to transfer photos, videos, files, audio, and apps between Android and Windows devices for free. It allows for selection of multiple files, and can be used to send text messages as well. File transfer, in our test, was as fast as Feem. There’s also an option to view all your phone files on the desktop app, and save them from there. Apart from all this, there’s also a Remote Camera mode that allows you to view your phone’s camera remotely, and a View Only mode which lets you see what’s happening on your smartphone’s screen on the desktop. The free version of the app is supported by ads and only allows 200MB data transfer per month (31 days). 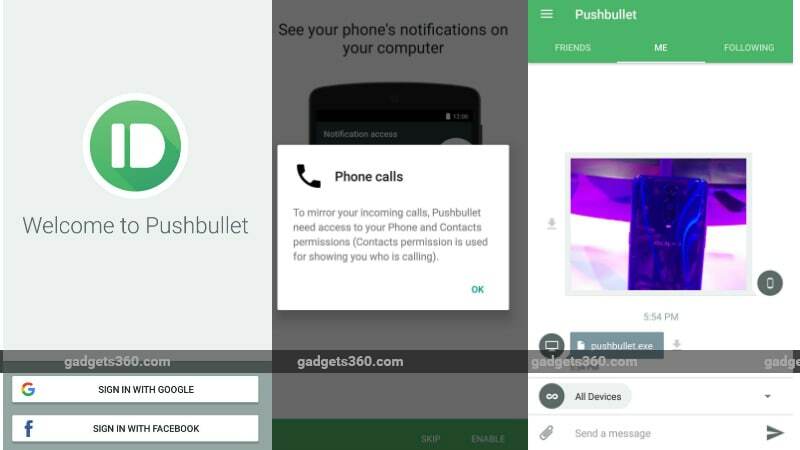 PushBullet app also allows for file transfers from your Android device to Windows PC, and lets you send and receive text messages as well as view your phone’s notifications. In our tests, we found file transfers to be slower than Feem. Unlike Feem, PushBullet doesn’t allow sharing of apps, and is limited to files, photos, and videos. It also doesn’t feature the remote camera and view only modes seen on AirDroid. 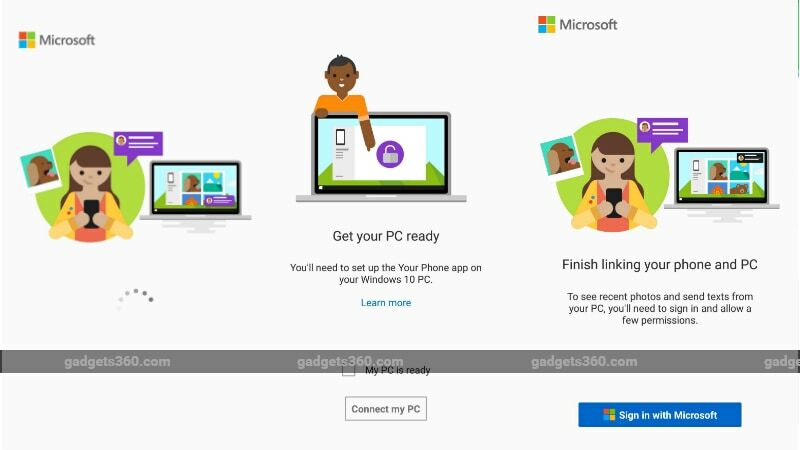 The Your Phone app was introduced by Microsoft with the Windows 10 October 2018 Update and it lets Windows users get instant access to their Android smartphone’s photos and texts. The app, however, only allows users to access up to 25 recent photos and screenshots, and nothing else. It also doesn’t allow users to send multiple files at once. Similarly, it shows only recent messages. The biggest disadvantage of this app is that it only allows transfer of photos from Android to Windows and not vice versa.